It's actually a pretty tame Wednesday in terms of food links today. No themes running across multiple papers like we saw last week, no really terrific features that can carry the rest of a section, just a number of separate, smaller articles on a variety of topics. Janet K Keeler of the Houston Chronicle has a look at another summer staple - Corn on the cob. She mentions there are three ways of preparing the corn, and each has its merits. Microwaving is the fastest, boiling is the simplest, and grilling is the tastiest. 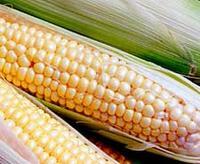 She tells you how to do each method, and there are tips on selecting corn and a few recipes. I personally like to grill corn on the cob whenever possible. Soak the ears with the husks on for a couple hours in water, then peel back the husks (don't rip them off) and remove the silk. Then melt some butter, and mix in chili powder, cumin, salt and pepper, and brush that generously over the corn. Fold the husks back over the corn and grill for about 20 minutes, rotating every 5 minutes or so to get an even cooking. I'm thinking of experimenting with Olive Oil this summer as well. Nina Simonds in the New York Times suggests do-it-yourself Asian wraps for a dinner party. Amanda Hesser in the same paper samples the food of Laos, Vietnam. Bill Daley in the Chicago Tribune looks at Tanzanian food being prepared in a suburban Chicago kitchen. S. Irene Virbila in the Los Angeles Times reviews some of the newest luxury restaurants in Las Vegas. The observation is made that the city is growing up in terms of cuisine. Susan LaTempa looks at the variety of summer beers out on the market...I know the paper is in Los Angeles and they're looking at West coast beers, but it is too bad that Samuel Adams Summer Ale couldn't make the review list. Heston Blumenthal in the London Times instructs readers in how to prepare the perfect chips to go along with that fried fish. You might notice a design change in the page, it might be the first of several. I've got some plans for this site, one of which might involve a move to its own server and domain. Feel free to chime in with any ideas or suggestions you might have, either in the comments section or via the email address to the right.